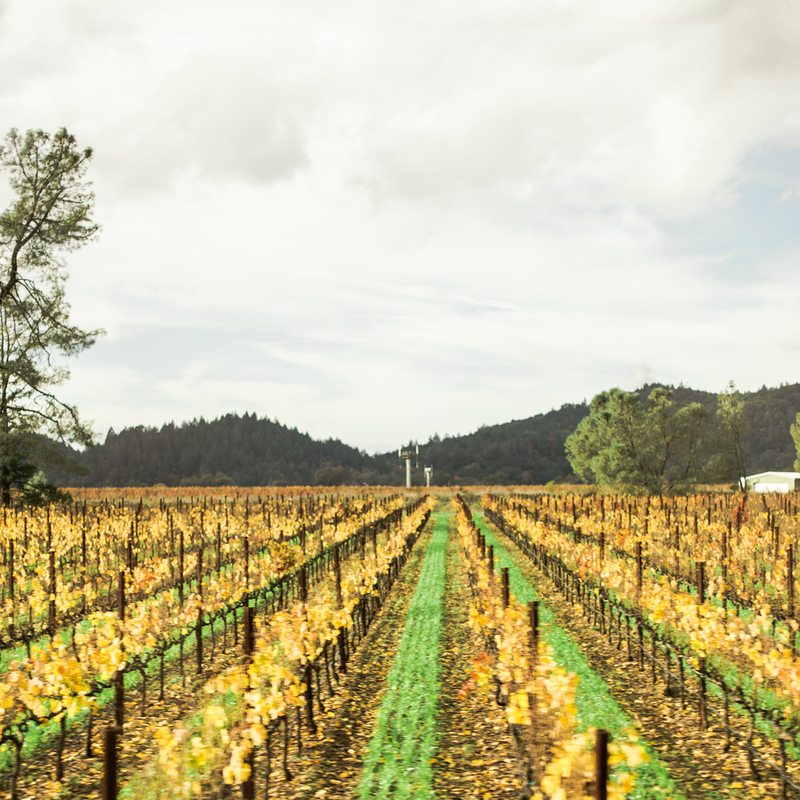 With this Indian Summer in high effect, we could not be more excited about the approach of Autumn. With the changing of the leaves from green to shades of red, orange & yellow comes a transition in wedding colors from soft feminine palates to warm, deep colors. There's a lot to love about fall, like pumpkin flavored..... everything, oversized sweaters & classic movies: & there is equally as much to love about fall inspired weddings. We're saying 'I do' to these 13 fall wedding trends for romantic bliss. Check out these hot fall wedding trends and see it's hard NOT to fall in love with them. For a more bohemian, eccentric vibe, feathers are a great incorporation to add a unique dimension & theme. Whether it be in the bouquets & boutonnieres, the floral centerpieces, a headpiece, or otherwise, feathers will definitely be a showpiece for your event. Even in a small detail such as a clean and modern white invitation with a pheasant feather tied around the outside is a subtle nod to the season. 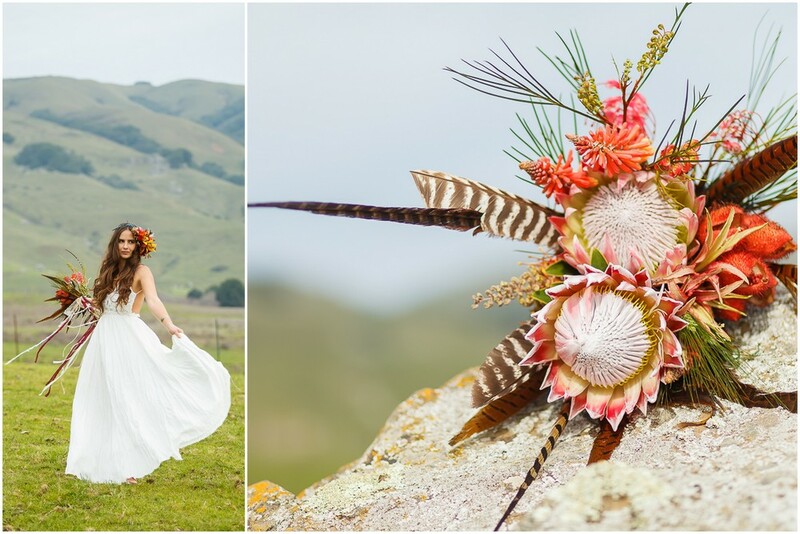 Here are few ways we incorporated feathers into our "Bohemian Designer's Challenge" photo shoot. We paired it with woodsy elements & tangy florals. There’s no denying that blush, champagne, creams – & all airy pastels, for that matter – are having a major moment. But when it gets right down to it, jewel tones are what really send us swooning. From a rich emerald to a royal blue to berry hues of any shade, there’s a million ways to pull off a jewel tone in your wedding and we’re here to show you how. As the seasons turn and cooler weather is afoot, we love a emerald-and-sapphire combination for your fall or winter wedding color palette. These deep, luscious colors compliment beautifully as simple pops throughout a simple ivory wedding to blend the jewel tones with the seasonal colors of fall. Gold and silver, step aside—there's a new metallic taking over. Copper details are popping up in creative ways, from glamorous chargers to centerpiece vases and even copper foil on invitations! The best part is, this metal meshes well with any wedding style: Polished copper can look glamorous and elegant, but matte or aged copper accents lend a rustic or vintage feel. There’s no reason that brown leather can’t creep into your wedding styling, too. For table place names you could use leather luggage tags with your guests names. For a luxe and rustic chic look & feel to your leather inspired wedding, I absolutely adore leather-like wedding stationery. Of course, anything with leather fringing is absolutely amazing! The thing about leather is that it can be both masculine and feminine, beautifully boho casual and luxe and lovely. You decide. As we transition from summer to fall, we also gain all that is the wonder of fall fruits & vegetables. From pumpkins & apples, to pears & figs, the deep, rich coloring of these seasonal inspirations can tie into any event appropriately. Marsala & cranberry are romantic & elegant colors that can play cohesively with any simple whites, ivories or creams to add a touch of vibrancy. Same goes for the ironic pumpkin & eggplant palettes that are an appropriate choice for any fall occasion. Fall is a season of breathtaking displays as the old makes way for the new. 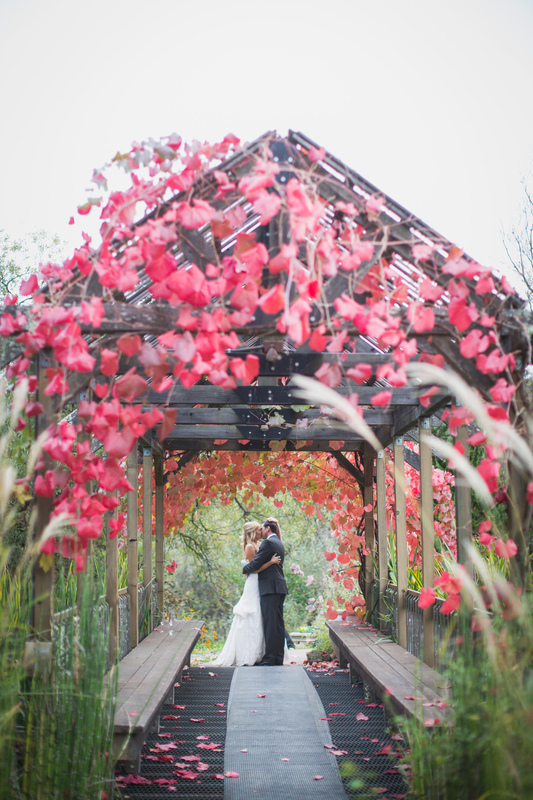 This sentiment -- and nature's palette of deep reds and oranges -- makes for a gorgeous wedding. However you decide to accentuate your fall wedding inspiration, take full advantage of the unique elements that are sure to make this event an autumn fantasy. And do not forget to take plenty of photos with the changing leaves & grape vines.